When divorcing individuals have a high net worth or a substantial marital estate, the division of property can become complicated and contentious, with disputes arising frequently. It’s not uncommon for these high net worth individuals to have marital estates that include real estate holding, business interests, complex trusts, investments, retirement accounts and international assets. The addition of these types of assets can severely complicate divorce proceedings involving individuals with high net worth, making an equitable division of marital assets challenging. At William G. Clark, Jr. & Associates, LTD., our Chicago high net worth divorce attorneys have many years of experience assisting clients with complex, high value marital estates to achieve a favorable division of property in a divorce. If you are considering divorce and you or your spouse owns a business, professional practice, retirement assets, real estate holdings or other significant assets, it is important to consult with a Chicago high net worth divorce attorney who is qualified to assist in these matters. At William G. Clark, Jr. & Associates, LTD., our attorneys have significant experience handling high net worth divorces and complex marital estates for clients throughout the Chicagoland area. We offer comprehensive, results-driven divorce representation that is focused on preserving our client’s assets and securing their post-divorce future. Our award winning divorce lawyers can assist you with a wide range of legal and financial issues as we guide you through the divorce process. In a high net worth divorce with substantial assets in play, it is especially important that matters involving property division and equitable distribution are handled with the utmost care and attention to detail. The equitable distribution of property can become fiercely contested and challenging to resolve in divorce cases with high value assets. Our high net worth divorce attorneys will work to divide property in a manner that is fair and equitable. A creative approach to the division of property is often required to achieve an acceptable settlement agreement. Often times, we will engage the services of, and incorporate the opinions of, a variety of well-respected industry experts. Forensic accountants can help uncover hidden assets, business evaluators can assess commercial holdings and vocational experts can help determine whether support should be awarded to a non-working spouse. High-asset divorces can also involve the determination of value and distribution of business assets. 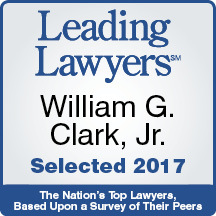 William G. Clark, Jr. & Associates, LTD., represent clients whose marital estates included professional practices, commercial businesses, financial services companies, retail enterprises, manufacturing concerns and international assets. In some cases, our attorneys are able to perform business valuations in house, without going through the expense of hiring an outside professional. Our financial and business knowledge allows us to determine the present value of a business and communicate this information in a manner that a judge will find meaningful. If you need legal representation for a high-asset divorce or complex marital estate in the Chicagoland area, including Cook & DuPage counties in Illinois, then call William G. Clark, Jr. & Associates, LTD. today at 312-329-0830.